Students in Lower School art teacher Rebecca Tittermary’s and Middle/Upper School art teacher George Zaiser’s classes placed in all but two categories, capturing five first-place ribbons and four top honors, including: Reserve Best in Show Award, Pathos Award and two Peoples’ Choice Awards. Founded in 1970, WPS is a private, independent pre-kindergarten through Grade 12 school, located in Berlin, Md. More than 500 students attend from Maryland, Delaware and Virginia. For more information about WPS, visit www.worcesterprep.org or call (410) 641-3575. 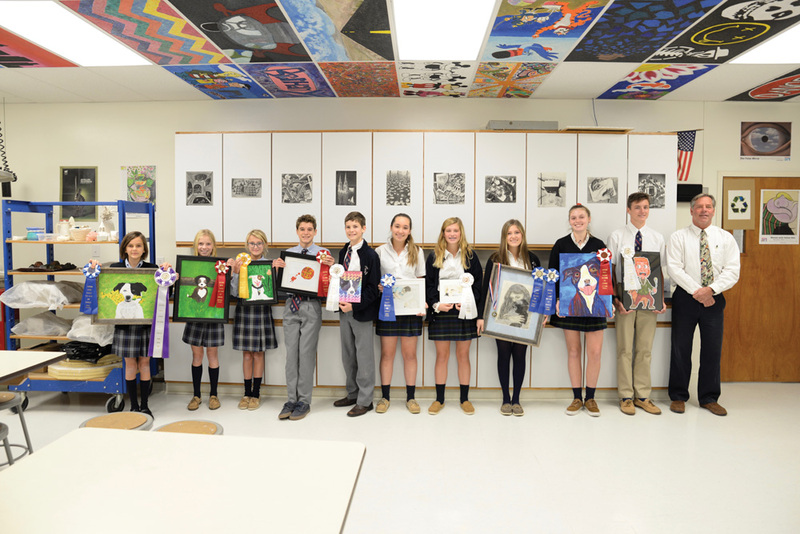 Photo 1: Worcester Preparatory School Middle and Upper School winners in the 2018 Eastern Shore Classic Dog Art Contest celebrate their wins with Middle and Upper School art teacher George Zaiser, far right. Pictured, From left, are sixth-graders Angeline Todorov of Berlin (first place, Reserve Best-in-Show), Jayden Scopp of Salisbury, Md., (second place) and Sydney Tingle of Fenwick Island (third place); eighth-graders Luke Loeser of Selbyville (second place) and Cooper Ludt, also of Selbyville (fourth place); ninth-graders Hannah Brasure of Frankford (first place) and Ava Nally of Ocean View (fourth place); 10th-grader Hannah Perdue of Salisbury (first place, Pathos Award, Peoples’ Choice Award); 11th-grader Damiana Colley of Berlin, Md., (second place); and 12th-grader Dakin Moore of Rehoboth Beach (fourth place). 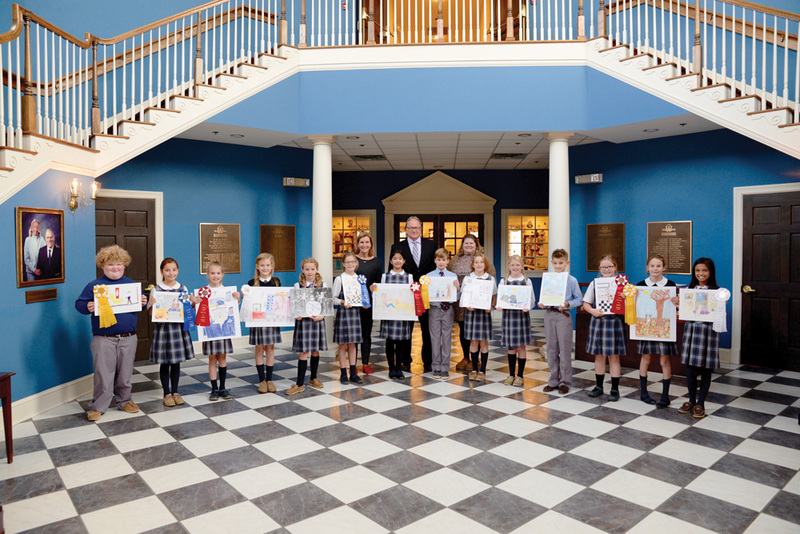 Photo 2: Worcester Prep Head of Lower School Laura Holmes, back row, left; Jerome E. Milko, event chair of the Eastern Shore Classic Dog Show, back row, center; and Lower School Art Teacher Rebecca Tittermary, back row, right, congratulate the school’s winning Lower School students in the 2018 Eastern Shore Classic Dog Art Contest, including, front row, from left, second-grader and third-place winner Jaden Washington of Fenwick Island; third-graders Ariana Cornescu of Rehoboth Beach (first place), Ellie Phillips of Ocean City, Md. (second place), Harper Hertrich of Rehoboth Beach (fourth place) and Lexi Davis of Berlin, Md. (honorable mention); fourth-graders Haven Harrison of Berlin, (first place), Ipsha Maharjan of Seaford (second place), Chase Burbage of Ocean City (third place), Bella Fernley of Berlin (fourth place) and Cora Conway of Berlin and Joe Palmisano of Ocean City (both with honorable mentions); and fifth-graders Haley Bushnell of Berlin (second place, Peoples’ Choice Award), Sydney Todorov of Berlin (third place) and Priya Haldar of Milton (fourth place).